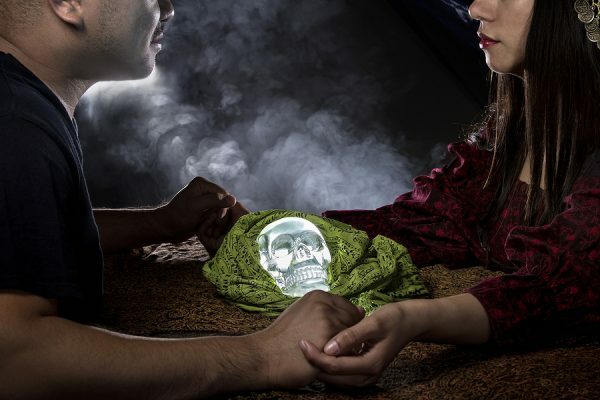 Whether you’ve recently lost a loved one or you wish to contact the dead for some other reason, performing a séance is one method to open the door to the spiritual world. These ritual ceremonies can be performed at home in a number of ways and have been said to unlock the key to the ethereal world. If you’re considering trying a séance at home, read on for everything you need to know in order to have the best chance of contacting the dead. Every Halloween countless believers and skeptics alike participate in a century-old tradition, dating back to the death of the great Henry Houdini. Houdini, who died on October 31st 1926, lived much of his life in search of a way to contact the dead. This quest started when his late mother passed away, and continued until his own death when he promised his wife that he would attempt to contact her from the beyond. Starting the year after his death, Houdini’s wife, Bess, held an annual séance on Halloween night in an attempt to contact him. Today, many have carried on the legacy of the Houdini séance, gathering in groups on Halloween night in efforts to contact the late magician. While some perform them as a fun social experiment, séances are not simply smoke and mirrors. In fact, this method of contacting the dead has been around well before Houdini’s time and has gone down in history as one of the most effective methods of communicating with the beyond. Séances have been performed in many homes around the world, but none, perhaps, as notable as the White House. During the time of Abraham Lincoln, séances were performed in the White House with the president present. These séances were ordered by the first lady of the time, Marry Todd Lincoln, as she grieved the premature death of her son, Willie. The details of what happened during these séances were kept tightly under wraps, but it is safe to stay Ms. Lincoln was a believer as she later hired mediums again to contact Abe after his assassination. Other séances also reported happened in the Whitehouse, including at least one séance ordered by first lady Jane Peirce. No matter where you live, a séance can be performed in efforts to reach into the beyond and communicate with those who have passed. Séances can be performed in a variety of ways, using various objects. First, you will need to determine what method you will use to communicate with the dead. One of the most effective ways, perhaps, is enlisting the help of a medium or a psychic. Mediums and psychics possess certain powers that allow them to channel the spiritual world in order to relay messages. These professionals are skilled in honing their spiritual abilities in order to detect spirits and engage them. Other methods of performing a séance including using objects like pendulums and Ouija boards. These objects give spirits a method to communicate. Ouija boards, in particular, can be powerful tools as they combine the energies of the spirits with those of the individuals involved in the ritual. If you are trying to contact a specific person, it can also be helpful to have a photo of them or some type of collateral. Mediums will sometime use these objects to establish a connection with the right spirit. Having a couple different objects available may improve your chances of contacting the dead as you can try a new method if the first one doesn’t work. Some people believe that you can only perform a séance in a place that is haunted; and while it may be true that certain places have a stronger connection to the ethereal world, you can actually perform a séance anywhere. When setting the scene where the séance will be performed, some mediums prescribe that you create a clear space, with only a table in front of you and any ritual props. Some mediums insist that the table must be round, however, others have found success with tables of various shapes and sizes. Incense and candles are also sometimes used, as they can help mediums channel their spiritual energies. This is the same reason that many prefer to perform séances in low lighting conditions, as it helps relax your aura, making it more susceptible to spiritual changes. Séances are normally performed in small groups and involve some form of ritual. One of the most common methods involves joining hands around a round table and chanting some sort of incantation. Having more people who are open to the spiritual world can help strengthen the connection with the beyond and improve your chances of making contact. It is also important to start your séance by stating your intention and asking the spirits to make contact. While this may seem unnatural at first, spirits, just like those in the physical world, respond positively to respectful gestures. Keeping an open mind and freeing yourself of any expectations can also improve your chances of success. After the séance is over, it is custom to thank the spiritual world, whether or not a connection is made. Whether or not your séance will work depends on a variety of factors. Some have found great success with séances as they allow you to combine your spiritual power with that of many others to create an even stronger connection. However, just like any type of psychic ritual, you have to keep an open mind that it may not work as you expect it to. While it is possible to hear voices or see visions during a séance, many experience much more subtle communications from the dead. This could be as simple as the flickering of a light or the blowing out of a candle, or even just a feeling that you experience in which you know a spirit is present. 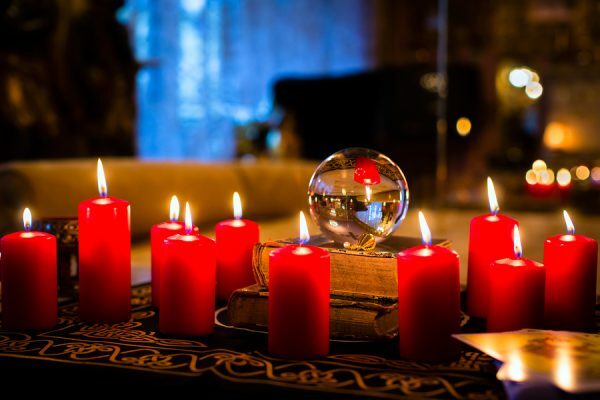 If you’re curious about psychic rituals, performing a séance at home is one easy way to acquaint yourself with the spiritual world.